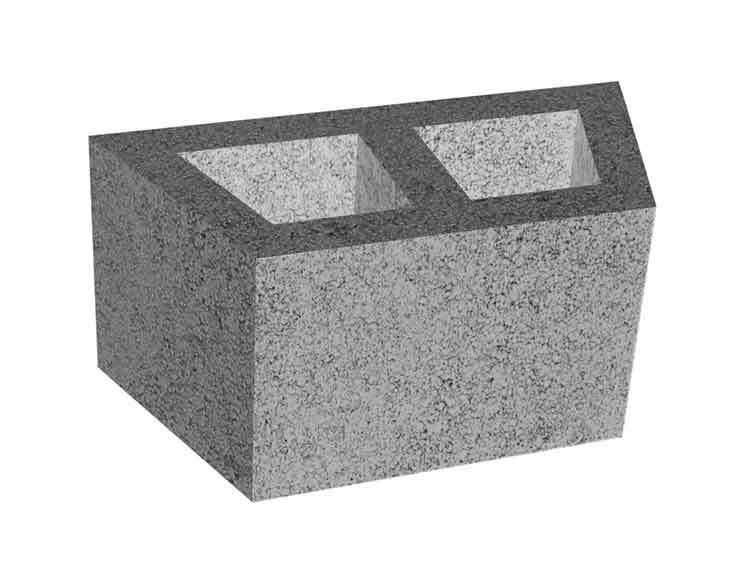 Concrete masonry solid blocks are manufactured with 2150 Kg/m3 density for normal weight blocks and 1100 Kg/m3 density for light-weight concrete blocks. It is the most commonly used masonry unit after hollow blocks. The strength and durability of these Normal weight Solid blocks make it ideal for construction of heavy load bearing walls and is also economic for acoustic applications. At Emcon, solid blocks are available with a face dimensions of 400 x 200 mm (L x H) and 390 x 190, with varying thickness of 100, 150, 200, 250 and 300 mm. 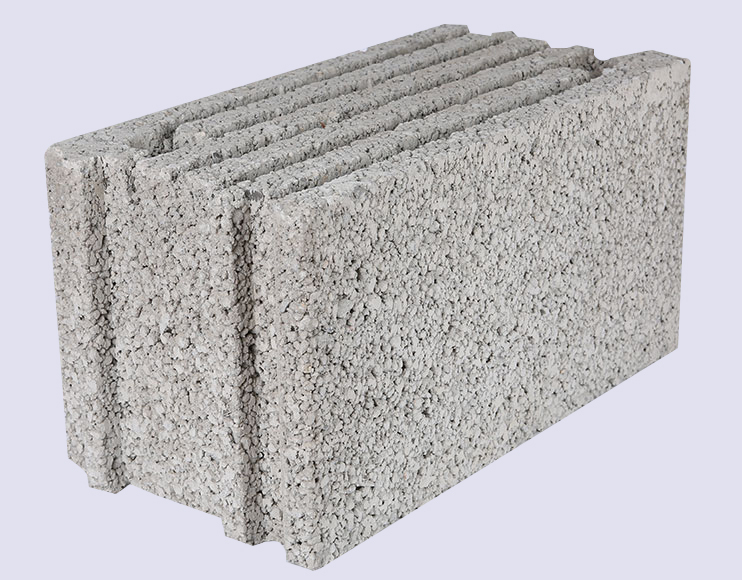 Concrete masonry Hollow Blocks are manufactured with 2150 Kg/m3 concrete density for normal weight blocks and 1100 Kg/m3 concrete density for light-weight concrete blocks. 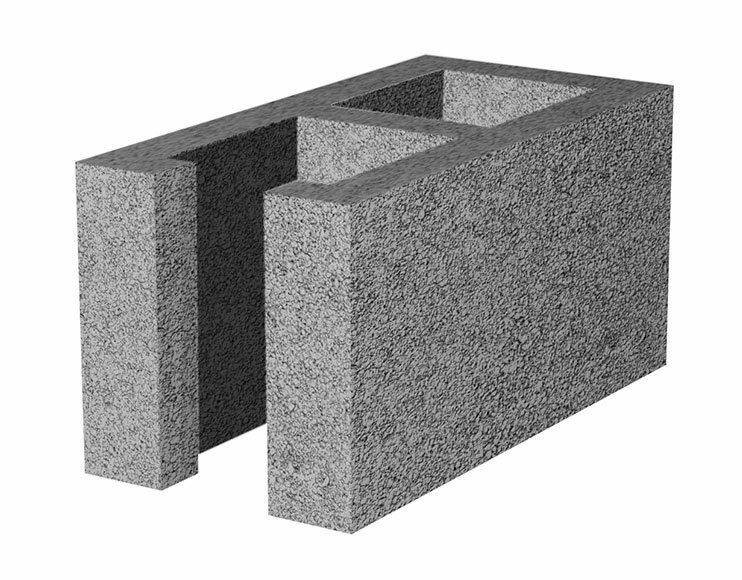 Hollow blocks are the most commonly used masonry unit. They find application in interior use, because of its higher fire rating and better sound absorbing properties. The Thru hollow cores provide adequate room to place reinforcement bars, water pipes or electrical wires through them. The blocks are available with a face dimension of 400 x 200 mm (L x H) and 390 x 190, with varying thickness of 100, 150, 200, 250 and 300 mm. 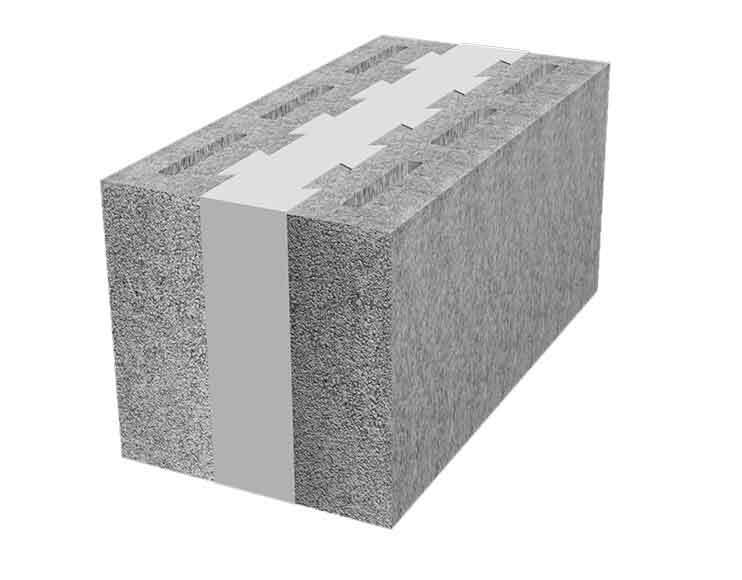 Thermo Plus Blocks are Concrete Sandwich Thermal blocks. These Blocks have a thermal core made of Polystyrene with 25kg/m3 density. Normal weight concrete is at 2150Kg /m3 density. 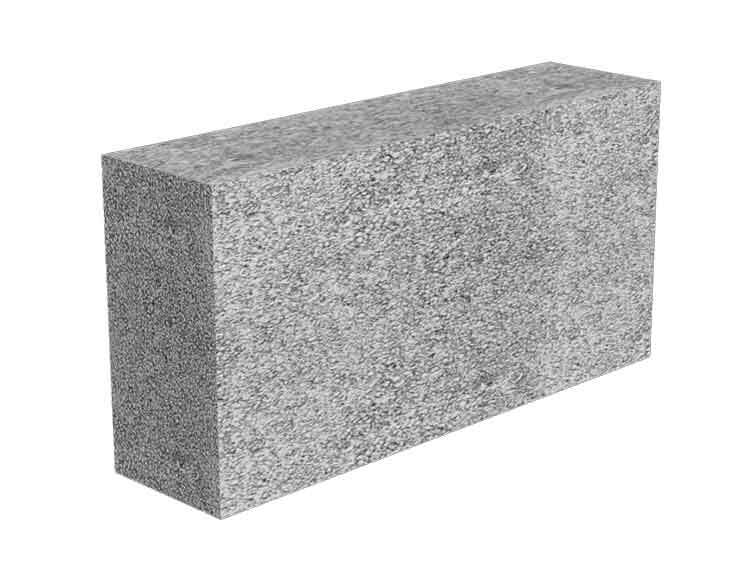 These blocks are perfect for thermal insulation and is mandatory for external walls. The blocks are available with a face dimension of 400 x 200 mm (L x H) and thickness of 200, 250 and 300mm. The common thickness for the thermal polystyrene is 60mm for all three sizes and 250mm block has an alternative with 110mm polystyrene. Similarly, the 300mm blocks has 160mm polystyrene as an alternative. Our Thermal blocks are the approved for ISTIDAMA, Abu Dhabi. 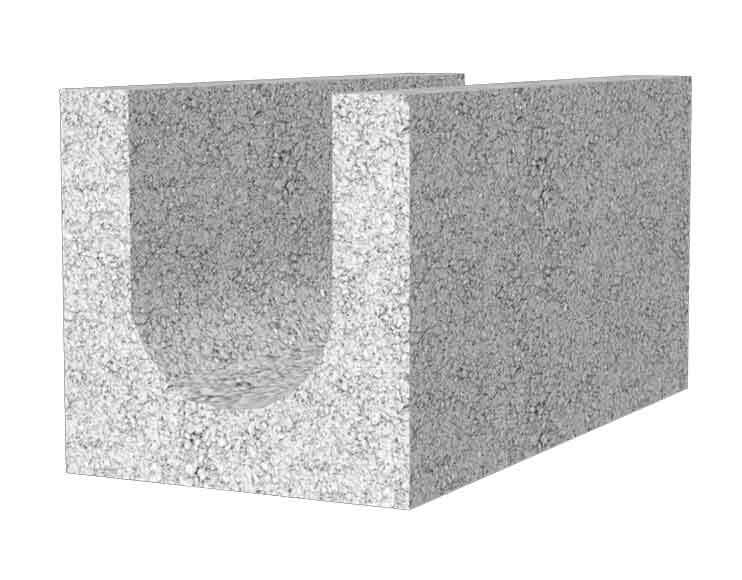 homogeneously with moulded high-density polystyrene inserted in the mould and wet concrete is poured around the insert. The blocks are then compacted and cured to achieve 7.5 n/mm2 strength at 28 days. The blocks should have technical approval certificate from Dubai Municipality. Place the Thermo Block in the first course and align them. Allow 10 mm gap for vertical mortar joints. All horizontal and vertical mortar joints should be 10 mm minimum. To achieve the continuity of insulation, provide thermal strips in the mortar joints. AT every third course, provide 4 mm Ø, 150 mm wide ladder mesh. Provide column I masonry wall ties 2.5mm x 20mm x 150mm at every third course. The thermal block was introduced by EMCON in 1992. It is unique because of it’s non- conventional manufacturing process. The moulded profiled polystyrene is first inserted by a special device into the mould and then concrete is filled in. This is followed by compaction and vibration of concrete by an auto control system in the Block machine. 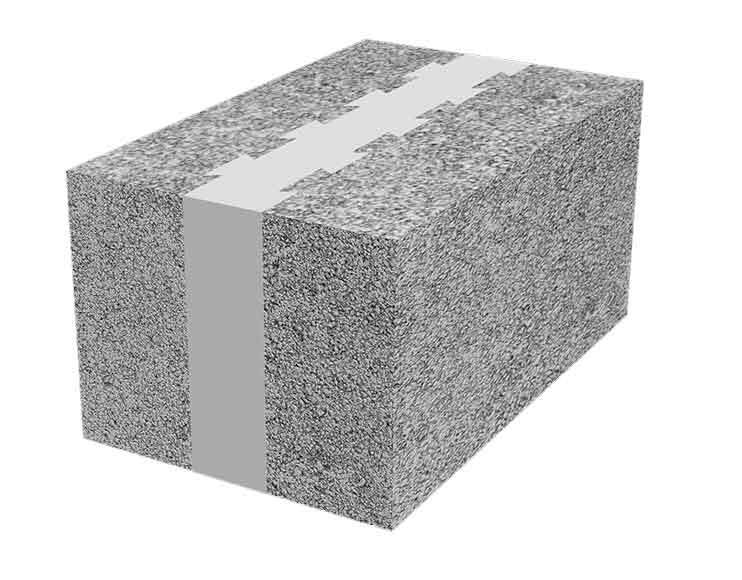 The resulting composite thermal block is homogeneously bounded and is cured normally. After curing the THERMO-PLUS block is ready for handling like any other normal block. The EMCON THERMO-PLUS block is based on the ISO-PLUS technology from Europe. They are the innovators of the insulated block for more than half a century in Europe. It was invented to help keep the cold ‘out of the buildings during extreme winters. 1. Excellent insulation properties since there is no thermal bridge between the innerand outer walls. 2. Integrated Polystyrene insert creates efficient thermal barrier. 6. Polystyrene is CFC free. 7. No special mortars required. 8. Polystyrene is of fire retardant grade FF as per DIN 53438. 9. Faster construction of walls and lower labour costs. 11. Less initial Air-Conditioning installation cost. 12. THERMO-PLUS gives design flexibility to Architects and Designers especially where large air spaces are to be cooled like shopping malls, atriums, community halls, etc. polystyrene in the masonry wall improves the sound absorption. 14. The insulated thermal mass in the block works with the building cooling/heating system for greater modulation of inside temperature. 15. Expanded Polystyrene also acts as excellent vapour and moisture barrier. EMCON Manufactures Light Weight Blocks by using Pumice Light-weight Aggregate. Pumice is produced by volcanic action and its cellular structure is created by the formation of air bubbles or voids, when the dissolved gases in the lava re-released on cooling. It is of an extremely low-density off-white coloured clean rock, expanded in its molten state by entrained gases, thrusting up from the volcanic core. The volcanic gases have effectively turned the lava, into foam, and it is this multitude of enclosed air channels that gives Pumice such a low density. 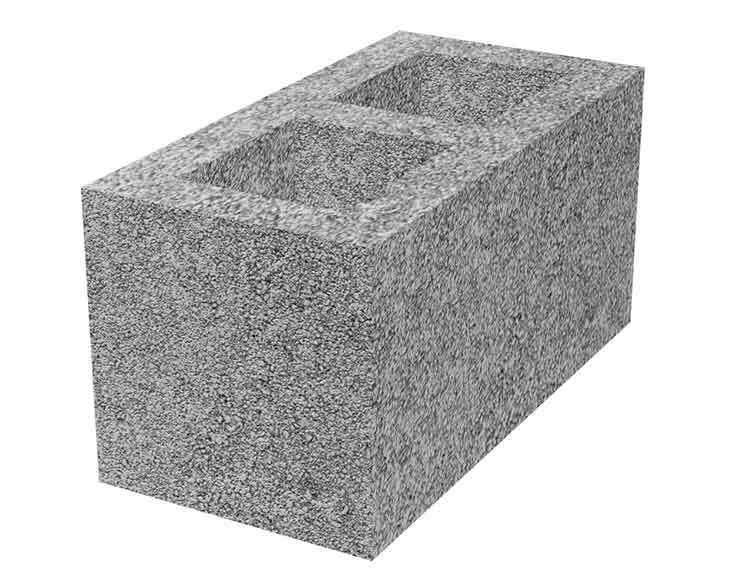 Pumice is used in concrete masonry units, in its “natural” state, requiring only crushing and grading to size. 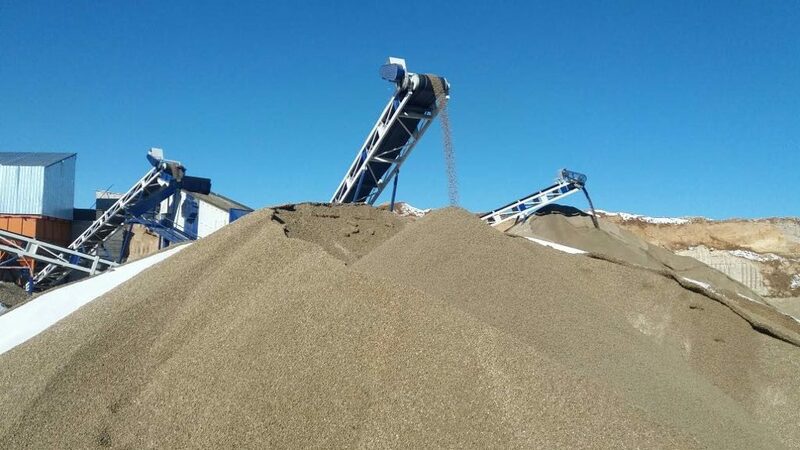 Unlike manufactured and by-product aggregates, Pumice does not require critical control processes that give room for error and non-uniformity. Pumice has been in use for the last 30 years and has proved to be a chemically and physically stable. 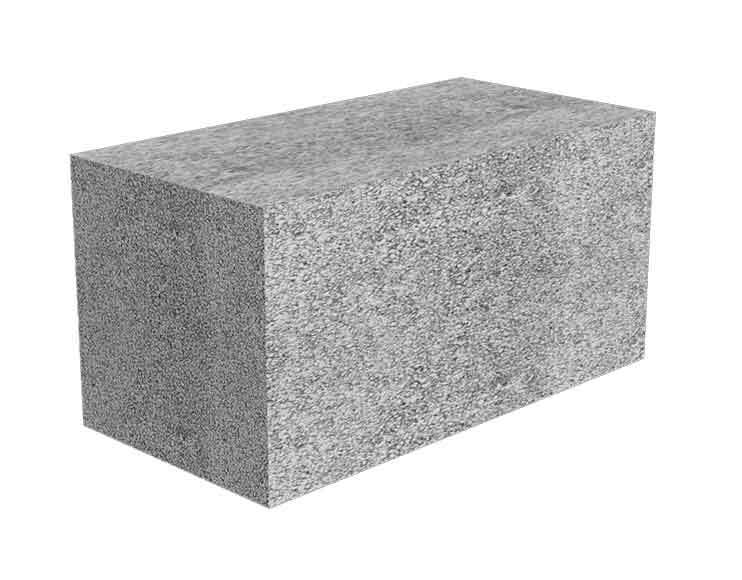 Having a high degree of elasticity, excellent thermal insulation, and light colour Pumice is a popular aggregate for the light-weight blocks in Europe and the USA & Middle East. Pumice is found in natural state in countries like Turkey, Greece and Italy where large range of volcanic mountains and terrains are formed. EMCON currently imports high quality, graded pumice from turkey which meets the requirement BS 3797:Part 2 and ASTM C 331-81. The Light Weight Blocks are tested by Dubai Municipality Central Laboratory and meet requirements of Local Order No. 44:1991. EMCON was one of the first companies to introduce Pumice Light Weight Blocks in the year 1990 for Al Moosa Tower on Sheikh Zayed Road, Dubai, an Arena Project. 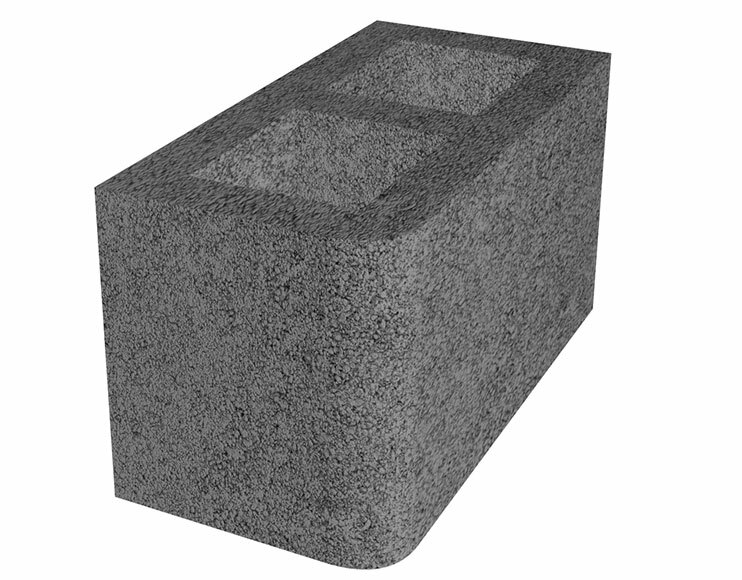 Concrete masonry solid lightweight blocks are manufactured with the lowest density of 1100 Kg/m3 density. At Emcon, solid lightweight blocks are available with a face dimensions of 400 x 200 mm (L x H) and 390 x 190, with varying thickness of 100, 150, 200, 250 and 300 mm. 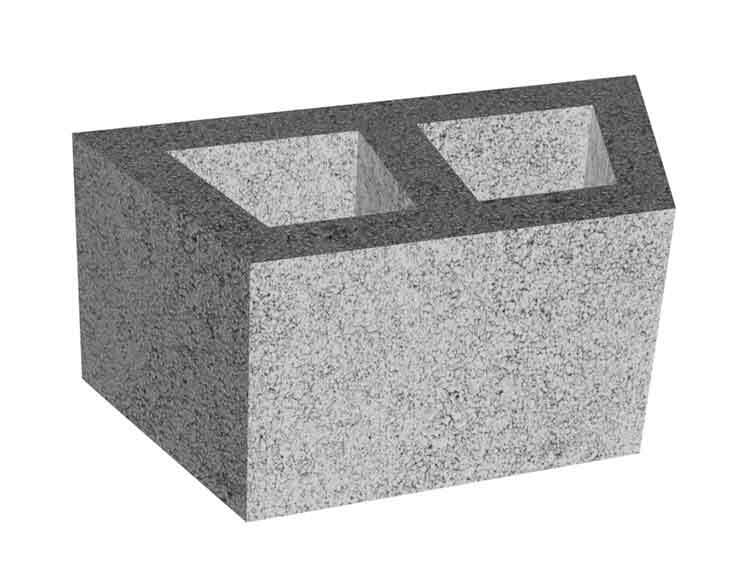 Concrete masonry Hollow light weight blocks are manufactured with the lowest concrete density of 1100 Kg/m3 density and the block density at 963 Kg/m3 to 688 Kg/m3. At Emcon, Hollow lightweight blocks are available with a face dimensions of 400 x 200 mm (L x H) and 390 x 190, with varying thickness of 100, 150, 200, 250 and 300 mm. 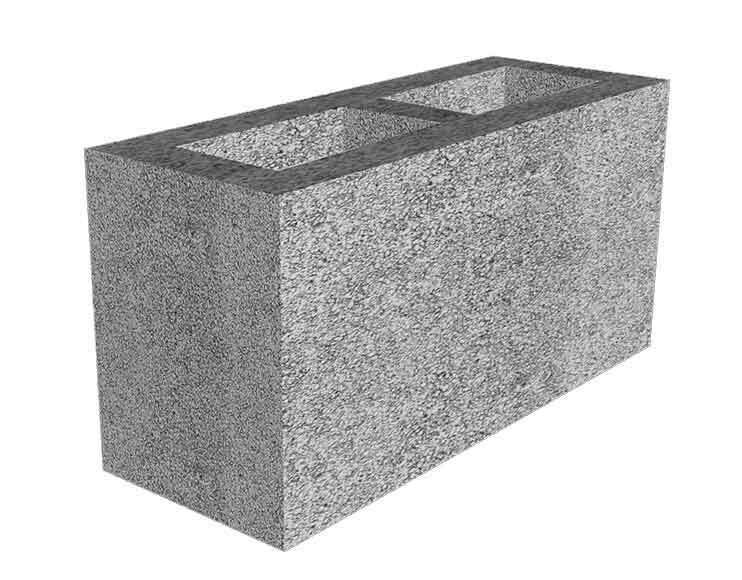 Lightweight Thermo Plus Blocks are Lightweight Concrete Sandwich Thermal blocks. These Blocks have a thermal core made of Polystyrene with 25kg/m3 density and lightweight pumice weight concrete is at 1100 Kg /m3 density. These blocks are perfect for thermal insulation and is mandatory for external walls due the polystyrene core and the Thermal insulation properties of the Lightweight blocks. The blocks are available with a face dimension of 400 x 200 mm (L x H) and thickness of 200, 250 and 300mm. The common thickness for the thermal polystyrene is 60mm for all three sizes. Using the same materials for the complete structure of the building – blocks, mortar and concrete. Slot Block were custom made for the iconic Burj Khalifa Project. Their requirement was to insert heavy rebars from the side to make reinforce block wall. Many tests were done on the slot blocks to achieve the quality requirement of the project. The block in the description 390 x 190 x 200mm size and other size can be manufactured as per your project requirement. Bullnose Blocks were custom made for the iconic Burj Khalifa Project. Their requirement was to make the walls with soft rounded edges. The block in the description 390 x 190 x 200mm size and other size can be manufactured as per your project requirement. U-Masonry blocks have many applications including tie beams, bond beams, lintels in doors and windows, sill beams at roof level etc. In all these application U Blocks are laid like normal masonry blocks. Reinforcement is placed in the cavity. The reinforcement is designed based on span and loads calculations. Concrete is then poured in cavities.